Sydney Shop Girl: Hourglass' Ambient Primer and Illusion Hyaluronic Skin Tint: A Review That Eventually Gets On Point. Hourglass' Ambient Primer and Illusion Hyaluronic Skin Tint: A Review That Eventually Gets On Point. Today's post is mostly about a couple of Hourglass products I bought from Mecca Maxima a few weeks back. Many of you already rave about the brand and many others were interested in knowing my thoughts about what I bought. So here's my woman on the street / in the trenches review of Illusion Hyaluronic Skin Tint in Golden Tan ($83 ..eekkk.. for 30 ml) and the Ambient Light Correcting Primer in Dim Light ($65 .. not so eekkk.. for 30 ml). I've been wearing both together over the past week through different kinds of weather instead of my previous situation which was a MAC BB cream. For reference, I'm a MAC NC 40 - 42 skin tone with dry ageing skin though now it's not so dry and not so aged courtesy of the discovery that was the ARCONA skin care range (available to us in Australia via Sephora online to which I've linked). I'm giving this review the rigorous scientific and methodological standards it requires by doing my write up at the local library. It's a glorious day outside but my fellow academics and I are enjoying the filtered sun through the floor length windows of the library with a bit of sun safe filtering through the automatic blinds. My heart's in the right place and I could possibly get points for trying with regards to how I'm dressed and accessorised for beauty blogger duty. My laptop is on a white desk under a black lamp with a bit of greenery for my eyes to look at for a rest between inspired paragraphs and I'm sitting on a bleached wooden stool. 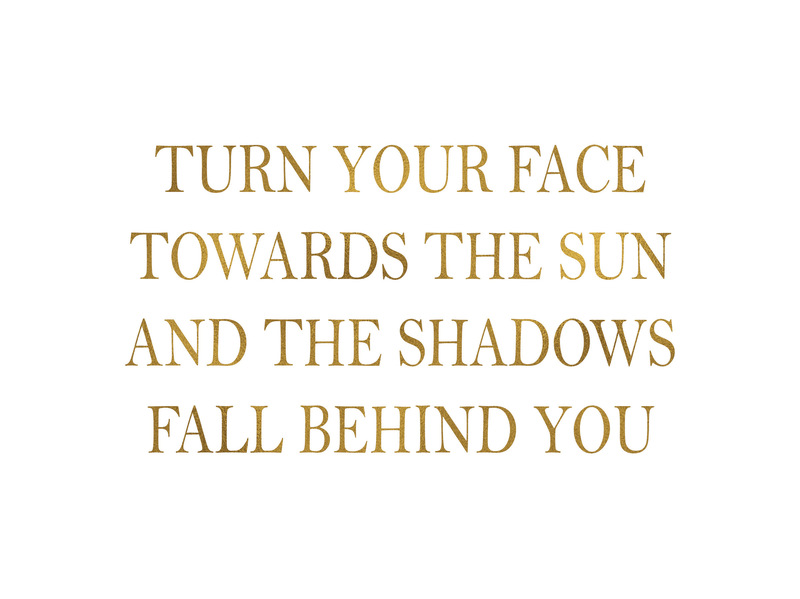 I don't have a framed inspirational quote in gold foil script anywhere nearby but I'm visualising one in my head. Though, I did find you this one from the internet. The photograph doesn't show my black and white breton striped top nor does it show that my track pants are Cotton On's $30 inspired take on Bassike's $180 drop crotch track pants. I'm actually a bit obsessed about the latter... should I or should I not? Left - Ambient Primer in Dim Light, right - Illusion Skin Tint in Golden Tan. I think the scene has been set in my mind. Let's write this review. sleek, sturdy packaging. Love the contrasting gunmetal grey lid. product squeezes out neatly from tube via a pointed nozzle. texture is medium thin, not as runny as other primers I've used. blends out easily with hands, no need for a blender or a brush. noticeable difference to the appearance of my skin even before adding any colour or concealer. no break outs or irritation to my skin noted after a week of use. removed fully with my usual cleansing oil routine. 10 hours of wear, still looked great at the end of each (long) day I wore it. the price.... but I only wear makeup three days a week. same ease of use and great packaging as its partner in crime, the light correcting primer. texture is pretty thick for a skin tint. medium coverage, very impressive for a tint. subtle glow that didn't look fake. wears well even without powder on top. No patchiness towards end of day. staying power plus the ability to rinse off easily with cleanser. What's not to love about that? the texture does take getting used to. Come summer though, it may not be an issue for me because everything seems to melt in my bathroom cabinet. even pricier than the primer and wearing the pair on a regular basis adds close to $150 to the beauty budget. I'm guestimating that I'll get 6 months from this pair of products. I'm justifying it by observing that I'm not a mani / pedi, facial kind of girl and that I set limits on what I spend on things like mascara, blush and lip products. I suppose I could just wear one or the other of these products on their own and look fabulous but you know how more is sometimes more? It is 'only makeup' but it is also represents those few minutes in the morning that are yours alone in the unpredictable chaos of 'wake up time' and its attendant clock reading, out of bed 'rolling', personal grooming and decision making regarding wise breakfast choices. And if you both look and feel good as you miraculously get out the door on time? That's got to be money wisely spent. In other self indulgent spending news, I've bought some spensive hair treatment. Does it count as spensive if you buy it at Woolworths though? Have you tried Redken's All Soft Heavy Cream? It's gotten mostly positive reviews on the internet and I remember being happy with the All Soft range back in the days before I got sensible about most things beauty related. The tube is currently retailing for $30 at Woolworths if you're keen. Drop crotch. No. No. Never. I'm all for nice makeup though. You go grrrl. I like wearing pants as there is no chub rub with pants. Droppies circumvent this protective function. The chub rub struggle is real. Oh the drop crotch pants are dividing. I do myself have a pair and tempted to get a pair from cotton on at that price. My husband hates them. I'm super impressed you went to the Library to write this post. Libraries FTW! No drop pants for me. They look really uncomfortable. They'd annoy me. Hourglass is popular here. I've so much primer and foundation though. It's going to take me years to get through my pile. Ive just ordered Jay Manuel to see what that's like.